Video content marketing shows no signs of slowing down, and for good reason. Video just plain works. On average, people spend 2.6x more time on pages with video than without. Fortunately, there are numerous approaches to using video for content marketing. You don’t have to sit in front of the video camera live streaming on Facebook if that’s really not your thing. Even better, there are just as many video tools out there that help you create amazing videos that look super smart, professional and highly engaging—and often take just a few minutes to create. This post gives you the most rip-roaringly awesome tools out there. Get the cheatsheet with 23 awesome tools for video content marketing. 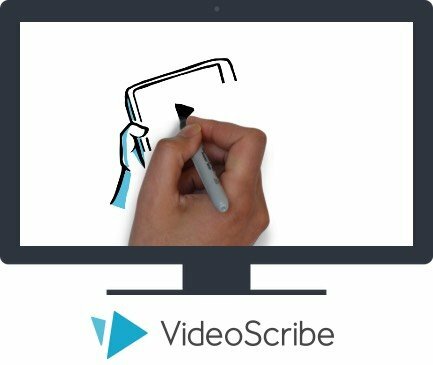 With VideoScribe, you can create stylish whiteboard-style animation videos—and you don’t need any design skills or technical know-how. 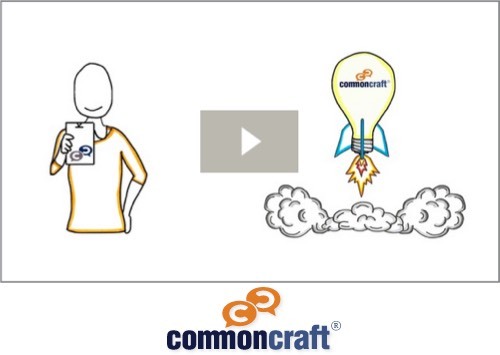 Simply drag text and images onto a canvas, and VideoScribe animates them into a professional looking video. Use their libraries of images, music and fonts to make your video unique for your own business. You also get access to a tool they call Tawe. This takes photos or other images you supply and turns them into video. The idea is for example to animate sketch notes or diagrams. There’s a free trial to get started, but to use commercially and remove their watermark, you need to upgrade. Right now, you can get VideoScribe for $144/year, or monthly at $29. While not specifically designed for business (see Promo instead, next), with Slidely you can upload photos and videos along with a backing track, and get back an engaging video. The video can be posted direct to social media. You can also embed it onto a blog or website. 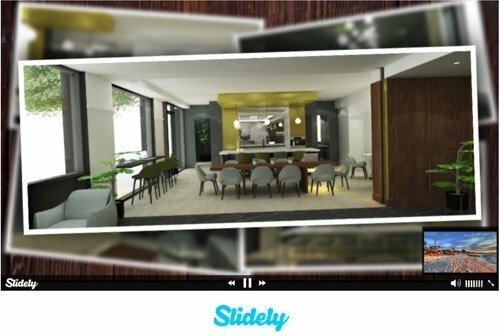 Videos are also published on the Slidely platform itself, where users can view, like, comment on and share them. Start using Slidely by simply signing up via Facebook or with an email address. As well as desktop, you can download the app on Android or iOS. Also from the Slidely team, Promo is similar but created more specifically for businesses to help them create promotional videos. You get access to quality video clips to add to your own content, along with licensed music. A text editor completes the package and means you can add your message to create an effective, engaging marketing video. Many users for example use Promo videos to create high-engagement video ad campaigns on Facebook and other ad networks. You can get started for free, and upgrade from $49 per month. Full-scale video editing has up to now been achieved via downloadable software. 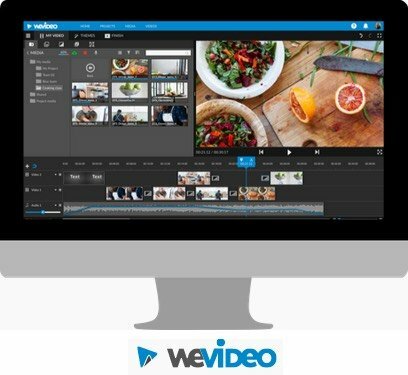 WeVideo takes it to the cloud with their online-based solution. One advantage is that you can start projects on one device, and continue on another. Plus you don’t have to worry about localized back-ups on your own machine. WeVideo provide numerous powerful features, such as a music library, slow-mo effects and the ability to record your screen. However, one downside to having this in the cloud is that video files you want to edit, often quite large, need to be uploaded. The good news is that with WeVideo you can start editing a video as it starts uploading, speeding up the process significantly. It provides a lot of functionality, and may be a little overwhelming at first, especially if you’ve not used other video editing software before. However, they provide a ton of tutorials via their WeVideo Academy to get you started and help you use the software. As with most of the tools on this list, you can start using it for free, though the features are more limited and their branding will be on the videos. Upgrade from around $60 to $95 per year. The higher priced option gives you unlimited storage capacity. The ability to determine which controls are shown. For example, you might want visitors to be able to play/resume a video but not to skip to different parts of it. This can be useful on landing pages. Integration with Google Analytics. This uploads engagement stats into Google Analytics so you can see for example how long people are watching your videos for. This is very useful for optimizing your video content over time. Heatmaps that shower view engagement with the video in more detail. Are you currently showing marketing videos on your site that are hosted on YouTube? If so, it’s advisable to consider Wistia as an alternative because of the additional features you get for marketing purposes. Try out all their features for free, with up to 3 videos. 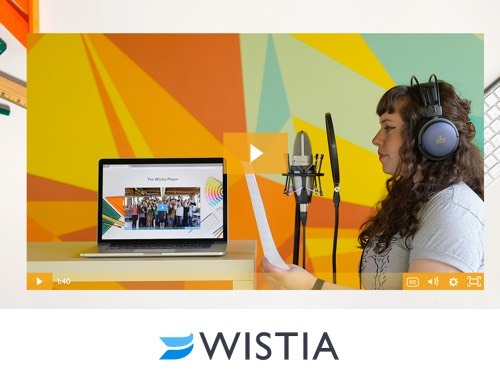 You’ll also have Wistia’s branding on the player. Upgrade at $99/month for up to 10 videos, with 25¢ per video per month thereafter. 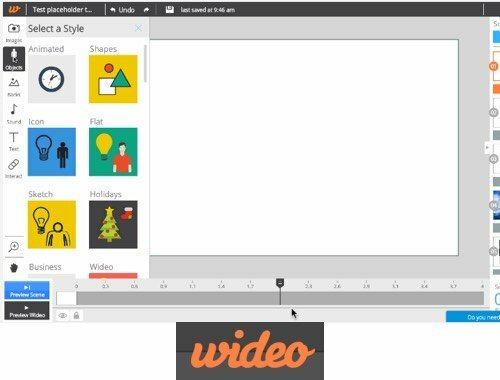 Make powerful animated videos for your business with Wideo. They provide you with drag-and-drop templates to get started immediately, plus you can upload your own artwork. Within a few minutes you can have your own professionally animated video. They offer a free 7 day trial, with pricing starting at around $240 per year. The StopMotion app is available for iOS and Android. It enables you to create videos that take advantage of the stop-motion technique, bringing inanimate objects to life. The app includes a frame-by-frame editor and the ability to add audio. It comes with a whole range of additional features, many of which are quite sophisticated. These include green screen, where you can change the background to make figures appear to be moving anywhere, and various movie effects to provide an additional professional touch. 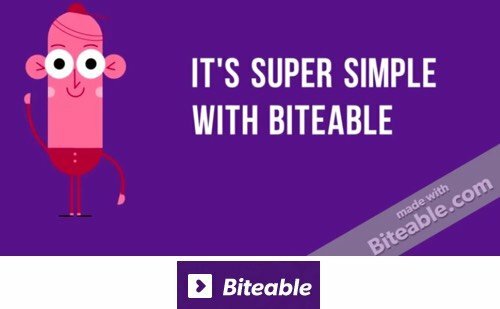 Deceptively simple, Biteable gives you the ability to create stunning animated videos using text, video, images and music. They provide lots of templates to edit and update with your own text, logo and call to action. It means you can create your own slick content marketing videos, whether for yourself or clients, in just minutes. On the free plan you can create unlimited HD videos you can publish straight to YouTube, and is a useful way to get started with the software. By upgrading to Premium, you can access tens of thousands of stock footage clips to add to your videos. Plus, the Biteable logo will be removed and you can download the videos you create to use anywhere. 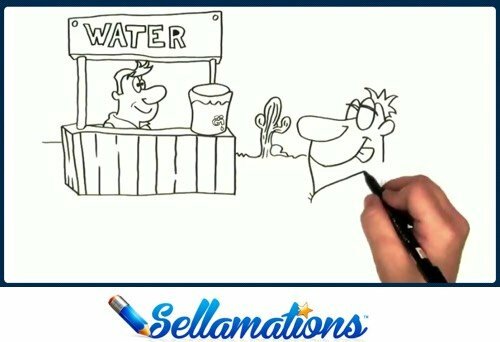 This isn’t software, but if you want custom-created animated doodle videos that are professionally created to help market your business, then Sellamations is for you. You can either provide a script for them to use, or they’ll create one for you. Your custom doodle video is then created by professionals using hand-drawn art work. They add a professional voice over or you can provide your own. Pricing starts at $847 for up to 60 seconds of animated art work. Script creation, professional voice over and a longer video are available at additional cost. 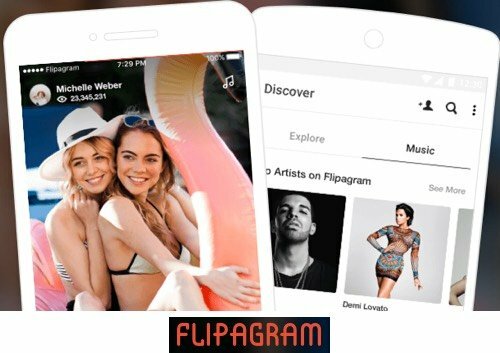 An app for Android and iOS, use Flipagram to create videos based on selected photographs and videos, and your chosen background music. Link up the app with your Instagram account to pull pictures straight from your feed. The very engaging videos it creates are ideal for grabbing attention on social media. To create a video involves firstly choosing all the images and videos you want to use. Rearrange them into the order you want by tapping, holding and dragging. Individual images can be cropped and edited, including adding text. Flipagrams have a watermark, removable for a small fee, when published outside of the Flipagram network. 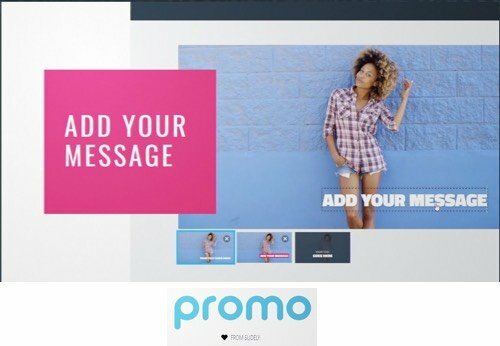 This cloud-based software provides lots of motion graphic templates you can customize with your own message. The resulting video can be used standalone, or perhaps incorporated into other videos. 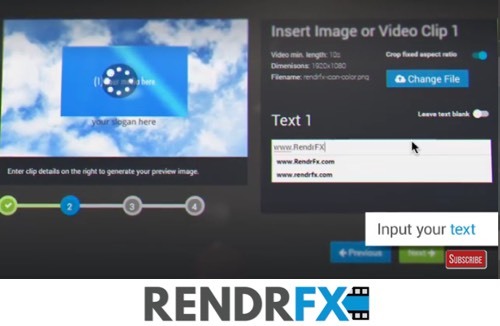 For example, you can use Rendrfx to create logo reveal video clips. Start with a template, and add your own logos, videos, images and other graphics as required. Templates are available in numerous categories, such as business, explainer, promotional, social media, and so on. Pricing starts at $49/month for unlimited videos. 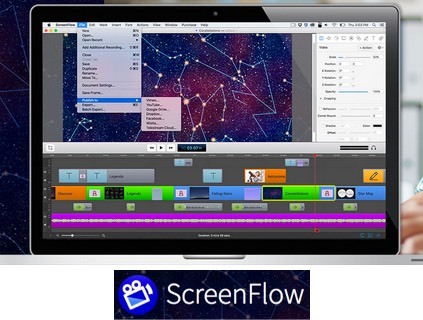 ScreenFlow is a powerful desktop-based video editor, with screen recording capabilities. Designed for the Mac, editing videos is relatively intuitive. Add different types of media into your videos such as images, text and music. Add call-outs such as arrows and highlights, which are useful for on-screen tutorials and product demo videos. Multiple transition effects are also available. As downloadable software, it costs just $99. For a modest extra fee, you can access additional transitions, along with backgrounds, lower thirds and other artistic elements. 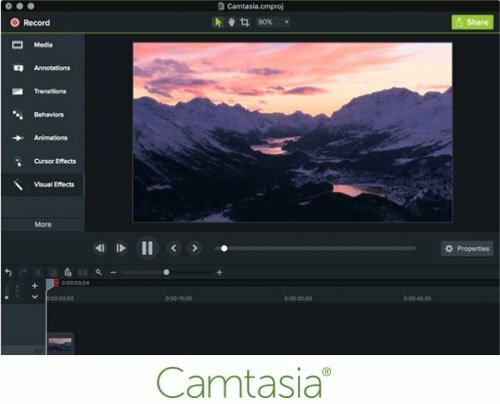 Camtasia is another desktop-based video editor, available for both Macs and PCs. As with ScreenFlow, you can record your screen, and add media such as audio and images. They supply animated backgrounds and motion graphics to enhance your videos and help grab attention, plus a wide range of royalty-free music and icons. Download the software for $199. This is roughly comparable to ScreenFlow when you take into account the backgrounds, motion graphics and music tracks they supply by default rather than as optional extras. 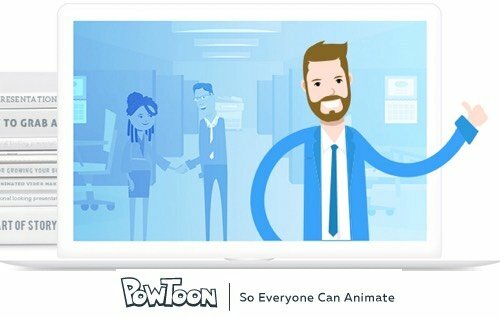 With Powtoon, create animated and engaging videos and presentations that catch people’s attention. They supply a large number of drag-and-drop templates you can use for different purposes and adapt for your own business. 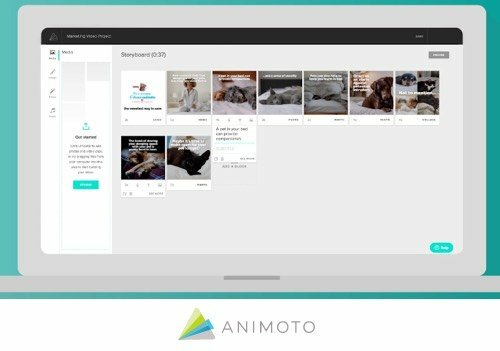 Use Animoto to turn your photos and video clips into video slideshows. Use built-in transition effects, pre-licensed music, the ability to record and add voice-over segments, and add text to title slides or over the top of other media. Start for free, or from around $100/year. 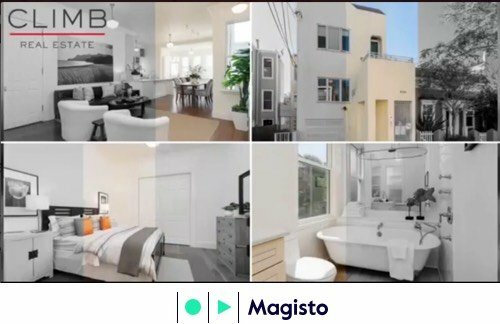 Magisto is an app for iOS and Android that takes your videos and photos and automatically transforms them into a professionally-edited video. Add music, themes and effects to personalize the video as required. It’s a quick way to create a professionally-edited, engaging video for your business, at a fraction of the cost that would otherwise be required. A smart storyboard lets you edit and reorder scenes, you can add your business logo, and add captions. A neat feature is where it auto-detects speech in videos, and reduces the volume of the background music accordingly. Business plans start at $9.99/month. 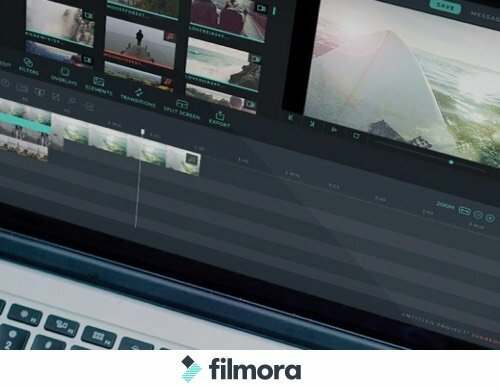 Filmora is desktop-based video editing software that provides a range of filters, graphic overlays, animated elements and other modern video effects to help your videos stand out. New effects are added each month. Try it for free, though as with other tools, any videos will be watermarked. Remove the watermarks with a lifetime license at $59.99. 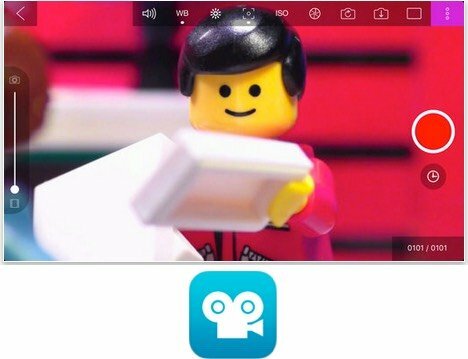 Another cloud-based application where you can add photos, videos, text and music to create a professional-looking video. A number of different themes are available to give your video a particular look and feel. As well as the browser-based application, Stupeflix also provide an API so developers can access the software behind the scenes and create videos, such as for users of their own software. 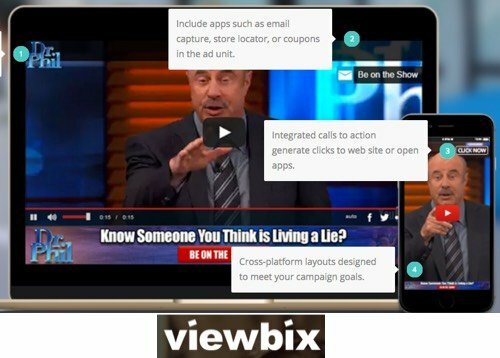 Different in nature to the other video content marketing tools on this list, viewbix is designed for interactive video ads. Meant for larger businesses, they work with clients to enhance videos by integrating calls to action and measuring second-by-second engagement in the video. Vidyard is a highly-rated video hosting platform that provides some very sophisticated features for marketing purposes. For example, you can add email opt-in forms directly into the video. They also provide extensive analytics for your videos, such as which platforms the videos are being watched on, and exactly how viewers are engaging with them. In addition, let’s say you’ve shared a Vidyard video to YouTube as well as across social media. You then realize you need to change it in some way. Edit the video from within Vidyard and it will be updated wherever it’s shown. Pricing is available on request. 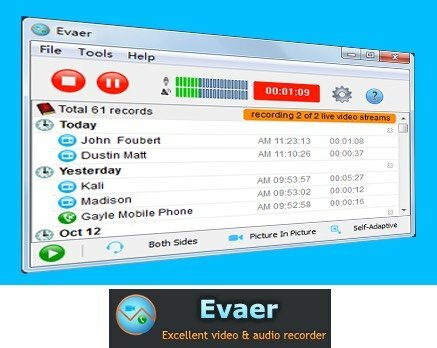 This useful tool is specifically designed to capture Skype video and audio calls. For example, you might choose to auto-record each Skype conversation, automatically saving direct to your hard disk. For video content marketing, this software is ideal for recording on-screen video conversations with an interviewee. 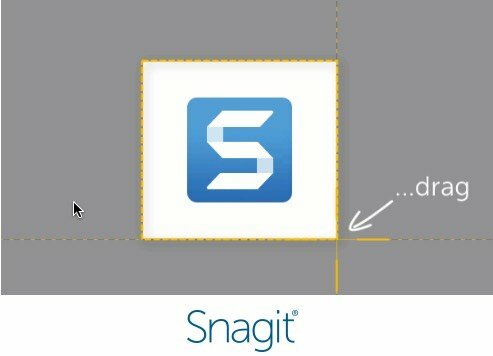 Snagit makes it really easy to record a video of your screen for say a quick product demo or review. The editing facilities are much less sophisticated than a more comprehensive video editing suite like Camtasia (also from TechSmith) or ScreenFlow. However, this software still comes in very handy for creating quick videos. You can also turn any short screen recording into an animated GIF that you could potentially then include in an email for example. With Common Craft, create videos that have a unique “Cut-out” animated style. Use templates and their extensive library of cut-outs to create training and explainer videos that are highly engaging and unique in appearance. Once you’ve created your video, you want to get maximum benefit out of it, right? The tools on this list illustrate the wide range of videos you can create, quickly and cheaply, for video content marketing. Get started with one or two tools you haven’t tried before and start experimenting. Try sharing a video created with one of these tools on social media, and compare engagement levels with the more traditional image and text posts? Or create a quick video for use on a landing page and test your conversion rates? Either way, given the growth of video—predicted to be 80% of all internet traffic by 2019—the sooner you incorporate video content into your marketing, the better. Don’t forget to download the cheatsheet you need listing all these tools to refer back to. There are so many awesome tools you can start taking advantage of—so keep the list close to hand! Here’s another great one. BB Express Flashback Player and Recorder. Free and paid versions. On a par with Camtasia. Thanks for the suggestion, Gary!